(1843-1923) English-born scenic artist, cartoonist, businessman. Clint’s three sons, Alfred T, George and Sydney were also scenic artists. The son of a scenic artist, George Gordon was working professionally by age 14 and at 18 had control of the painting loft at a prominent Bristol theatre. 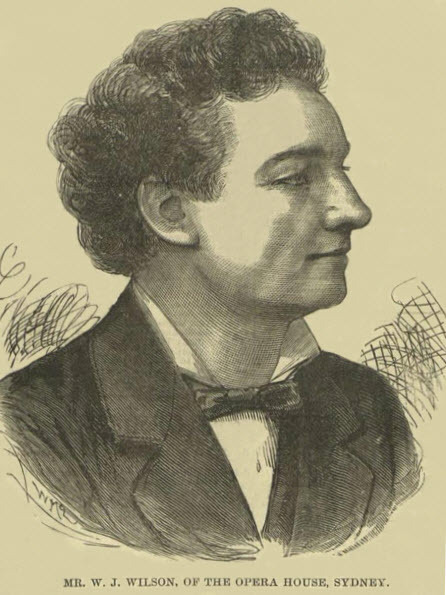 He later cemented his reputation in London (notably at the Gaiety and Prince of Wales theatres), before travelling to Australia in 1879 with Arthur Garner‘s London Comedy Company. Although employed as chief scene painter by Williamson, Garner and Musgrove (1882-1890) and Williamson and Musgrove (1892-1899), Gordon also provided sets for W.S. Lyster, Samuel Lazar, the MacMahons, John F. Sheridan, George Rignold and Robert Brough. Two notable late-career productions were Djin Djin the Japanese Bogieman (1895) and Matsa Queen of Fire (1896). In 1886 he even designed and decorated the interior of Melbourne’s new Princess Theatre. 1: Gordon’s work featured in pantomimes, comedy, musical comedy, operetta and drama among other theatrical Genres. He is also known to have produced at least one diorama (1880). His scenic art was first seen by Australian audiences at the Opera House, Melbourne on 21 June 1879 (in Friends). One of his final productions was the ill-fated musical comedy The American Girl in December 1898. 2: During his Australian career Gordon occasionally collaborated with other scenic artists – notably John Hennings [below] (1883-1885), John Little [below] (1887), Phil Goatcher (1893), W.R. Spong (1895), P. Howdon (1896) and John Brunton (1896). From the late-1880s he was assisted by his son John. 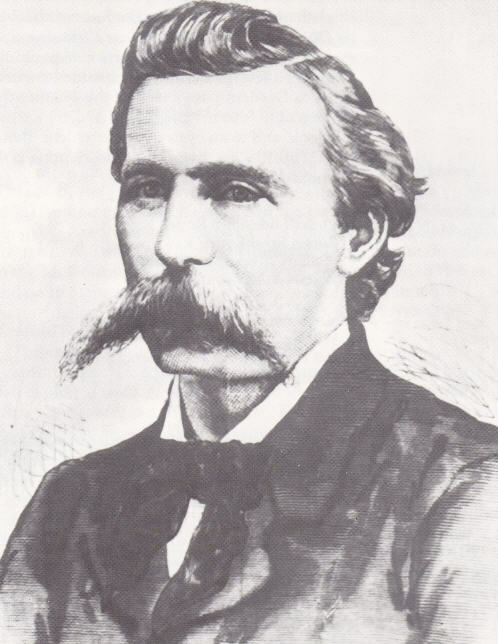 3: George Gordon passed away at Miss Martelli’s private hospital on 12 June 1899, his sixtieth birthday. His death was the result of injuries he sustained after falling from a tram in Nicholson Street, Melbourne. Image source: Viola Tait. Dames, Principal Boys… and All That: A History of Pantomime. 2001, 109. Alexander Habbe came to Australia in 1855 to seek his fortune on the Victorian goldfields, but ended up as a scenic artist at Melbourne’s Theatre Royal. Between 1860 and 1864 he was largely associated with Sydney’s Royal Victoria Theatre, and later with the Royal Adelphi. Although he returned to settle in Melbourne in 1872 he nevertheless supplied occasional scenes for Sydney theatres, including the Opera House. During his career Habbe collaborated with other leading scenic artists, including W.J. Wilson [below] and John Little [below]. 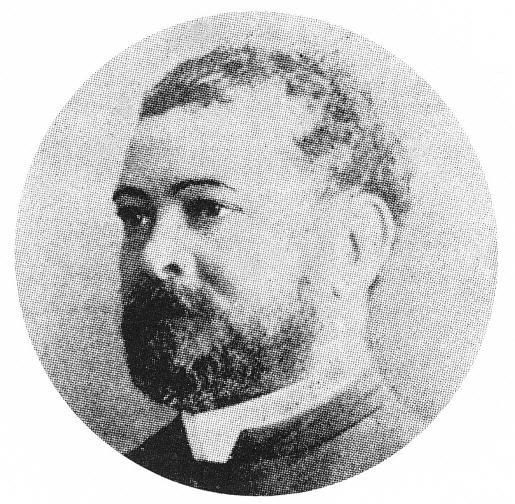 He died in Melbourne on 14 April 1896. John Hennings started out at 15 as a house decorator and later studied art in Dusseldorf and Vienna before immigrating to Australia in 1855. After working as a scenic artist in Geelong (Victoria) he settled in Melbourne and eventually established himself as the city’s leading theatrical artist through his work at the Cremorne Gardens, Olympic, Royal, Princess and Haymarket theatres. Between 1868 and 1877 he also co-managed the Royal with George Coppin, H.R. Harwood and Richard Stewart, and with Coppin and J.R. Greville (1877-82). Hennings was much acclaimed for his architectural accuracy, moving panoramas and pantomime productions. For further details see: Mimi Colligan. “Hennings, John (1835-1898)” Australian Dictionary of Biography (2005) Supp Vol. Image source: Erin Irvin, Dictionary of Australian Theatre, 1985, 123. (1845-1898) Sydney-born scenic artist William Kinchela learnt his trade in the early to mid-1860s. The first productions attributed were in 1869 and by the mid-1870s he was associated with the Queen’s Theatre. It was in the 1880s, however, that his career peaked, being responsible for numerous productions staged at the Gaiety Theatre (aka Academy of Music) between ca. 1881 and 1886. He painted many scenes for Alfred Dampier beginning ca. 1885 and in his later years collaborated with Edward Vaughan at the Lyceum Theatre (Sydney). Kinchela died in Sydney in late January 1898 of throat cancer. Kinchela’s family name was often spelled Kinchella in advertisements, articles and reviews. 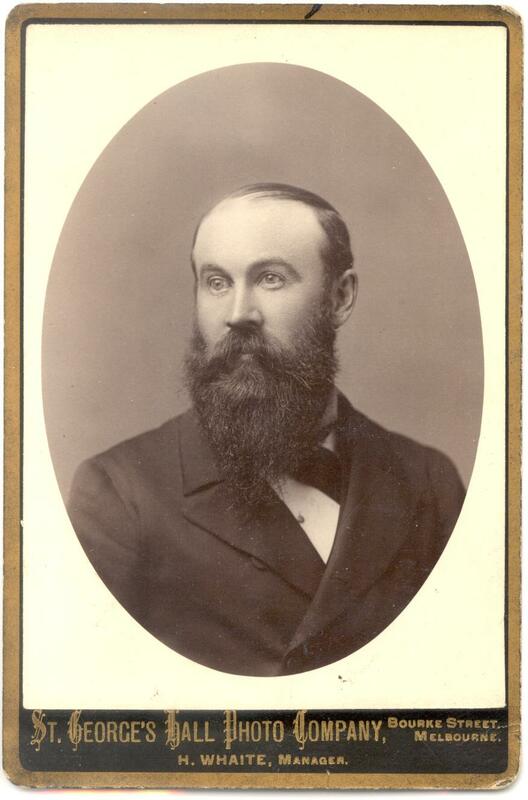 John Little established a studio in the Melbourne suburb of Carlton around 1870/71 and between 1872 and 1882 was largely associated with John Hennings (above) at Melbourne’s Theatre Royal. He later painted drama and pantomime scenes for Williamson Garner and Musgrove, Alfred Dampier, George Rignold, Meynell and Gunn, W.J. Holloway, Dan Barry and Kate Howarde, often in collaboration with other artists (notably Harry Grist). Variety theatre clients included F.M. Clark, Harry Cogill, and the Gaiety Novelty Company. His business, known as John Little and Sons from 1895, supplied stage scenery up until at least the late 1910s. (-1879) English-born scenic artist, business manager, lessee/manager. William Pitt came to Australia with his wife Jane (née Dixon) in 1853. After settling in Melbourne established himself as a scenic artist, and was later closely associated with George Coppin (working for him at one stage as business manager). From 1859 until his death Pitt ran various hotels and cafés (including the Café de Paris at the Theatre Royal), became treasurer of the Victorian Academy of the Arts in 1870, and was actively involved in greyhound racing and breeding. Pitt’s son, William Jnr (1855-1918), was the highly acclaimed architect, public servant and politician who also specialised in designing and building theatres. Rege Robins was William Anderson‘s staff artist between 1899-1916, and in this position provided scenery for the entrepreneur’s various companies as well as for John F. Sheridan, J.C. Williamson, George Darrell, the American Burlesque Co, Bert Bailey, George Marlow and others. These productions included musical comedies, legitimate drama, pantomime and vaudeville. In 1916 Robins was contracted by Fullers’ Theatres to provide the scenic art for The Bunyip pantomime. 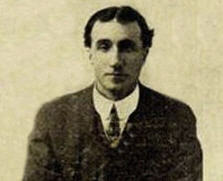 He remained closely connected with the firm until at least 1927, while also securing occasional work elsewhere, including the Tivoli circuit and William Anderson (Adelaide). Robins’ surname was sometimes incorrectly spelled Robbins. Alec Stagpoole was member of the The Stagpooles (ca. 1900-1915), a knockabout comedy act comprising his wife Madge Stagpoole, brother-in-law Ted Stagpoole, and in later years Ted’s wife Ada). He retired from the troupe in 1915 to become Harry Clay‘s scenic artist at the Bridge Theatre, Newtown. His daughters Eula and Elvie were also vaudeville performers, with Elvie Stagpoole in particular being well-known as a solo artist and in partnership with her husband Charles “Ike” Delavale. (ca. 1855-1931) After arriving in Australia from England in 1884 Harry Whaite became principal assistant to W.B. Spong for the newly formed Brough and Boucicault Comedy Company. After his association with Robert Brough ended he established his own business, providing scenery for both legitimate theatre and variety throughout the 1890s and early 1900s. His Metropolitan Scenic Studio (Sydney), founded in 1909, provided scenic art for all the leading theatrical firms operating in both Australia and New Zealand, including J.C. Williamson’s, the Tivoli circuit, Hugh J. Ward, James Brennan and Harry Clay. W.J. Wilson worked in the “legitimate” and variety theatre industries for over 50 years, first in Melbourne and later in Sydney. In the late 1860s he also began expanding his theatrical activities into management, being at various time associated with the Princess Theatre (Dunedin, NZ), Bijou Theatre (Melbourne) and Sydney theatres like the Queen’s, Royal Victoria and Garrick (aka Tivoli ). The late 1890s also saw him form a partnership at the Alhambra Theatre with Percy St John. Wilson’s last-known engagement was as James Brennan‘s scenic artist at the National Amphitheatre (Sydney). His sons Carden Wilson and Frank Hawthorne also established high-profile theatrical careers. Images at top of page – L-R: Harry Whaite (Whaite family); John Hennings (Mitchell Library)’ Harry Whaite’s setting for San Toy (Theatre Aug. 1915, 29); W.J. Wilson (Viola Tait, Dames Principal Boys… and all That, 2001); Alec Stagpoole (Stagpoole family).